To make better use of the CARS club room on the USS Yorktown, Jim/KK4REM has taken on the task of organizing monthly operating days open to any club members. 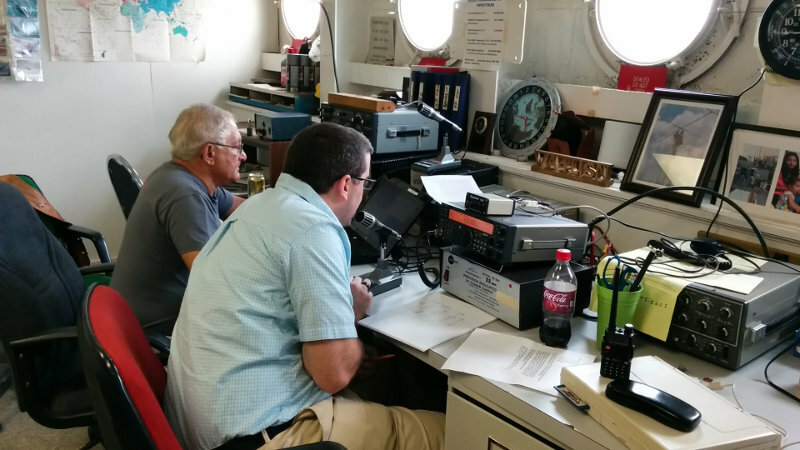 Being on the Charleston Harbour and with an HF antenna at a pretty decent height over salt water, the ship is usually a pretty good place to operate from. I was able to make it to today’s operating day, and with the club’s laptops, the plan was to do some digital work as well. 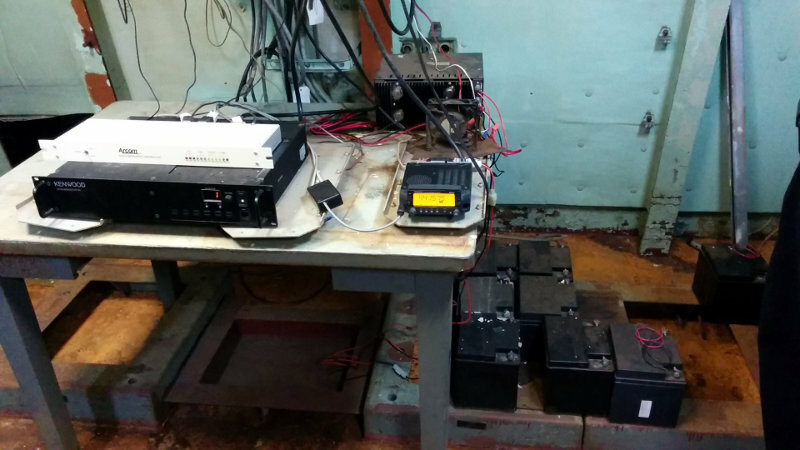 By the time I arrived at the club room, there were a few people already playing on the radio making some contacts on 20m. One of the contacts even included someone who served on the USS Yorktown back in the 50s. After a few contacts, the Signalink was hooked up and a couple people were introduced to some of the digital modes. Did a little bit of PSK and some RTTY. I was busy with other things so I don’t know if any contacts were made. While they were playing radio, I was showing my sound card interface to Rick/N8BKN and discussing the possibility of maybe making it a build project for the club. Bryce/K4LXF showed up a little later and from him I learned a little more about the repeaters that the club maintains. I also got the opportunity to see the WA4USN repeater room., located a couple decks below the top of the Yorktown’s island. 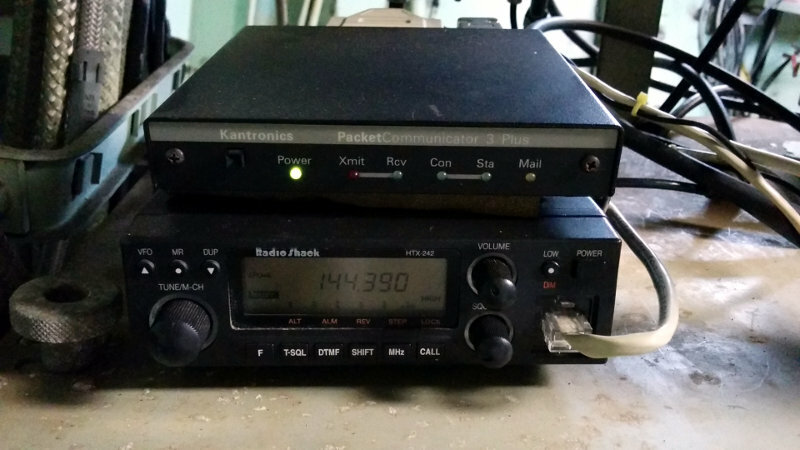 There’s not too much in there: the 2m repeater, a repeater controller and the WA4USN-5 APRS digipeater. One of these days I might have to help maintain these repeaters.